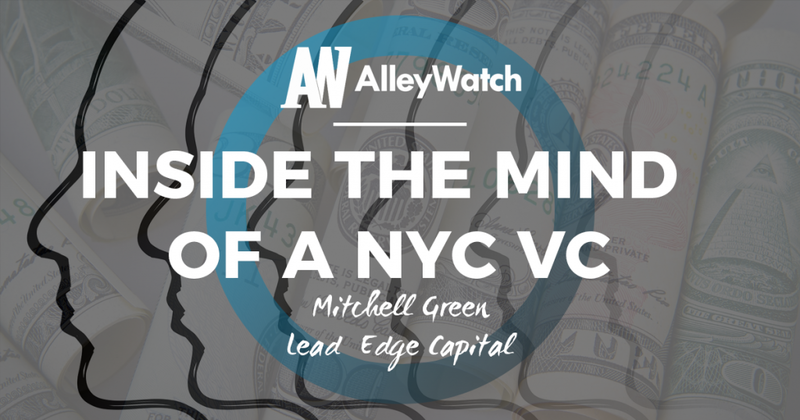 Welcome back to Inside the Mind of an NYC VC, a new series at AlleyWatch in which we speak with New York City-based Venture Capitalists. 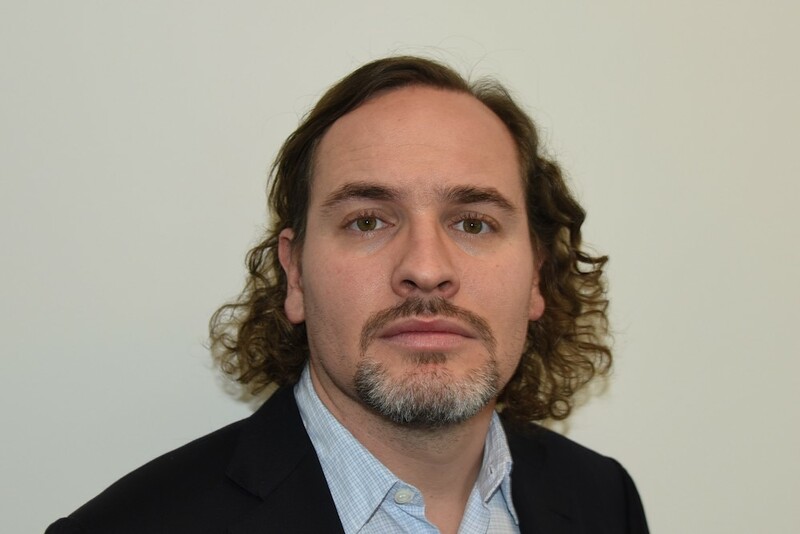 In the hot seat this time is Mitchell Green, Founder and Managing Partner at Lead Edge Capital, a growth equity and late stage venture firm. Mitchell chatted about his start in venture, the unique LP structure and associated value proposition at Lead Edge, what he looks for in investments, and much, much more. Tell us about your journey into the venture business and how you came to found Lead Edge Capital? The vision for Lead Edge is to be late stage company builders – to truly help companies get to that next level of growth. What we are not doing is investing in super early stage companies. The vast majority of the capital we invest goes to companies growing revenue from $10M to $20M to $40M to $80M and onwards. We also will lead majority buyout investments in slower growth companies where we believe our network of Operators can add unique value to the company and improve its trajectory. Let me back up to give the history of Lead Edge. I graduated from Williams College. I then went to work at UBS investment bank as an analyst in the M&A group. I then went to work at Bessemer Venture Partners, which is a very well-regarded venture capital firm where I met my now-partner Brian Neider. In any case, I left Bessemer and I went to Wharton for business school. While I was there I started working at a hedge fund called Eastern Advisors, which was a Tiger-cub-seeded hedge fund by Julian Robinson. I started investing at Eastern primarily in public companies. Shortly thereafter I initiated their private equity investment group and a few years later spun Lead Edge out of that effort as an independent entity in . We’re currently investing out of our third fund, which is $290M. Our second was $140M the fund before that was $52M. Prior to our maiden fund we had done two single-purpose SPVs, just deal-by-deal. We got really lucky, the first deal we did was a company called Bazaarvoice, which ultimately went public and was a very successful investment for us. Our second deal was a small software company that’s done well, and then we raised that first $52M fund I alluded to earlier. When I started a fund in the growth equity space, I knew that the vast majority of the returns accrued to the top 20-30 firms, and they were the ones seeing all the deals. What I set out to do was create a limited partner base that includes people who are the experts in these topics to help founders. Whereas most venture or private equity funds are backed by endowments or pension funds or universities, the vast majority of our capital comes from 250 limited partners, plus a couple of big endowments, but most of the capital is these individuals. 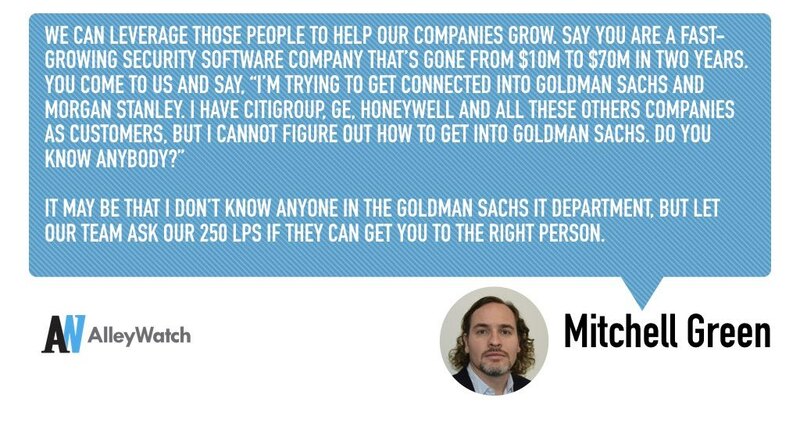 It may be that I don’t know anyone in the Goldman Sachs IT department, but let our team ask our 250 LPs if they can get you to the right person. I’m looking at a consumer products company that’s already gone from $5M to $15M, so I say to that company, “how would you like to meet the former CEO of Bare Essentials, who joined them at $1M, took it public and sold it for a couple billion? Or how would you like to meet a board member of Tory Burch? How would you like to meet the guy who built Apple to $20B-plus in Europe? How would you like to meet the former CEO of Neiman Marcus?” People like that. We have all of these world-class executives who help our companies grow. The key question is “how.” How did you build that LP base, where did that network come from? I built it person by person. We started out first SPV in Bazaarvoice in 2009 or so; maybe there were 40 investors in there. How did I get them, especially in 2009? Simple. I literally reached out to any person I had ever talked to. I reach out to every trustee at Williams, all the CEOs I used to contact at Bessemer, everyone. There are literally people I cold called, just to say, “Hey, I have a deal for you.” If they thought it was interesting, they invested. Fast-forward another quarter, we would then be able to report back that Bazaarvoice had made a deal with GE and Coke and the LPs started to realize the value of the network. So now fast-forward to our first fund. A bunch of our investors in that first SPV invested, and they all had friends who were interested, and it so happened their friends were executives. Fast-forward to Fund 2. About 99% of the LPs in Fund 1 invested in Fund 2. Fast-forward to Fund 3, all the people who invested in Fund 2 invested in Fund 3, with the exception of like two people. They all introduced me to people. If I have 250 LPs now, to get to 500 LPs I just need each of my LPs to introduce me to one person. And if you’ve mad them a bunch of money, treated them well and had a bunch of exits, they tend to be happy to help. You mentioned earlier about your expanding fund sizes, how has that changed things for Lead Edge Capital? One, leading deals. Two, plowing more money into our winners. Three, 15% of this fund is focused on public equities – long-only. It’s stuff we’ve looked at previously but hadn’t done for whatever reason. We’ve also had to put together a world class team. When I first started the original SPVs the team was thin. As I mentioned before, my Partner Brian and I have worked with each other on and off for almost 13 years. Our other Partner Nimay is the brains behind our operation and one of the smartest people I know. We work well together and can complete each other’s sentences. We’ve also been able to bring on world class Operating Partners who work as part-time consultants. Lorrie Norrington, Paul Bell, and Jim Schneider have distinguished executive backgrounds and can add true operational expertise to our portfolio companies. Without our team, we wouldn’t be able to scale the way we have. Is that unusual for a VC to invest in public equities? It is unusual but it’s not unheard of. A bunch of these firms have pools of capital they deploy in different ways. Sequoia has a big hedge fund. Battery Ventures does some stuff on the public side. I would say we do it more than most people because it’s partly my background given I used to work at a hedge fund. But it’s long only, can’t short, it’s super long-term focused, it can sit in cash – it’s just to take advantage of opportunities. If we look at a software company three years before it goes public, and for whatever reason we’re too stupid and miss it, we can look at their S1 when they file for the IPO, see they beat all their numbers, say “oh my gosh, that never happens, they usually miss all their numbers” and we can buy it at the IPO or after the IPO on the open market. Is your plan for your fund size to continue growing, or have you reached the level you believe is optimal? We could have raised 2x the amount of money in Fund 3, but we didn’t. The fund will continue to grow. We’ll continue to do publics as well. The next fund will probably be $400-$500M, but we’re in no rush – prices are high. You’ve been in venture capital almost your entire professional career – what drew you to the industry initially and what do you love about the industry? I was always interested in computers and technology. I used to have a bulletin board system in middle school and high school; I was on the internet before Netscape came out with IRC [Internet Relay Chat] and FTP [File Transfer Protocol]. I’ve been interested in computers my whole life – just tinkering with them. I’m not smart enough to know how to program – I took a couple classes at Williams and found it literally impossible, whereas my brother speaks like eight programming languages. I’m interested in innovation. Areas that disrupt companies over time present lots of opportunities to make a lot of money. I’m not a gadget geek or into all these gizmos. I find investing in areas of change interesting. I have no interest in ever investing in utility companies or railroads – they may be good businesses, but I’m interested in change. What areas of change are you following closely now? How I find interesting areas of change or trends is I ask our LPs what they spend time thinking about in their own businesses. Cybersecurity is number one – both at the consumer level and the enterprise level. Consumers are being hacked more and more. In enterprise, I think it’s a topic at every board meeting across corporate America, and I think boards are starting to be held personally liable. As soon as that happens, you can bet your bottom dollar they’ll spend any amount of money to safeguard against it. Cybersecurity is a very interesting space. Just keep it super simple: wave one was like McAfee/Symantec, they built really big businesses. Then came along companies like Splunk and Palo Alto Networks, which the old guys dismissed but now there’s like $20-30B of market cap between those two companies. Now there’s the next generation of companies. Okta just went public. Duo Security, which we’re invested in, is growing super fast. There’s a bunch of them, and they’re all growing super fast because the end markets are just enormous. Think about the next terrorist attacks; if a drone flew down 5th Avenue with a machine gun attached, I don’t know how you’d stop it. I think drone security is going to be a big thing. Autonomous cars are going to be enormous, though I think it’s going to take a long time. But think about security in cars. As software invades everything, software is hackable, so cybsecurity becomes super important. The whole area around transportation is very interesting. We are investors in Uber, so I am clearly biased, but I think it’s a two-game race in the US, Lyft’s not going anywhere so it’ll be an 80-20 market between Uber and Lyft. If you look back like 100 years, the home was a very isolated place. Then they built a water network, and a power network, a sewage network, a road network. The two big networks left are the telecom networks and transportation. Uber and Lyft are becoming these giant transportation networks, and my theory is, when self-driving cars do take off, the car manufacturers will enter their cars into these networks, whether they just sell into them or engage on a profit-share on a per-mile basis – something like that will be the model. Uber and Lyft have gathered huge amounts of consumer demand. It’s so cheap. People ask how big a market it is because the taxi market’s not that big, so how can they be bigger than that? Here’s what I know. Between East Beverly Hills and Brentwood, a taxi is $40-45 for those 8-10 miles. An UberX is like $14, UberPool is $3. It’s cheaper than the bus. Are there any other areas? Other areas where we’ve invested are vertical application software as well as more horizontal application software like HR software and marketing software. Lastly, consumer products. It’s gotten way cheaper to build new consumer companies – in terms of marketing, distribution, making this stuff in China. It’s an area we’re looking at. You mentioned you don’t have operating experience, that you make decisions from an investment opportunity perspective. What do you need to see from a company in order to invest? We look at a variety of metrics. We typically invest in businesses that have positive unit economics – and they don’t have 5-year payback cycles when the business is two years old – and they have product-market fit. Those are the two most important things. If you sell HR software, and there are 2,000 potential customers and you have 10 of the Fortune 100, you’re doing something right. A lot of the companies we like to invest in may be burning money to grow, but if they needed to be profitable, they could be profitable overnight. They may not grow as fast, but they would be profitable. What do you look for in a management team and how do you assess their performance? The management team is critical, but in terms of how we assess them, it’s not quantitative, it’s very qualitative. The most important thing is the CEO or Founder’s ability to recruit and hire and motivate world-class talent. You’re only as good as your worst hire. Do you have geographic preferences for where you invest? We’re super global. About 40-50% of our capital in our second fund was invested internationally. So where do we have portfolio companies? I’ll start in China and go around the globe. China with Alibaba Group; we first started investing at Alibaba very early. Go towards Europe. We have investments in Germany, France, Spain, the Netherlands, the UK, New York, Philadelphia, Pittsburgh, Ann Arbor, Boulder, the Bay Area, LA, Santa Barbara, Austin. We’re all over. Some investors say they only want to invest in companies they’re proximate to. How do you get comfortable investing in companies all over the globe, and how do you think about the value you can add to a company in the Netherlands, say, versus one in America? There’s three investment partners here and we each travel 200,000-250,000 miles per year. We live on airplanes. That’s one. In terms of the value we can bring, we have a very global LP base. We can’t help companies in Asia that much to be quite honest. In Europe we have a bunch of LPs who have built big European companies, and we can share best practices around helping European companies enter the US through customer intros, suggesting people on the ground, things like that. That’s why you have to be at some sort of scale. We’re not helping $2M software companies in Germany enter the United States, they’re just too small. We’re invested in Catawiki, which is a very fast-growing marketplace business in the Netherlands – hundreds of millions of dollars of GMV. One of my operating partners was the former president of eBay and before that ran eBay Europe, she spends a ton of time with the company. How does your LP base break out geographically, and how many of them have that type of international operating experience? I don’t know the exact numbers off the top of my head. There’s none in Asia, there’s a couple in Latin America. I bet there’s 30 in Europe, and then of our LPs in the States a very large majority have international experience. You mentioned earlier that the bet you made was that by building this LP base you could compete with the top 20-30 VCs. What have been the greatest learnings so far? One, be flexible – you don’t have to lead the round, you can participate in the round. Build the LP base, ask our companies, I think we help. I think we help in a very unique way. If you were to analyze our portfolio, you would see we’ve done a bunch of deals with a handful firms. If we didn’t add value, I don’t know why they’d want to work with us. What would your portfolio company CEOs say about Lead Edge? You’ve had a presence in New York since day one. How have you seen the New York tech ecosystem evolve in that time? We don’t spend a lot of time focused on the New York tech scene, just because we’re growth investors not early stage investors. That said, “it’s boomed” is the short answer. We were the first institutional investor in Refinery 29, which has done very well. I think the scene here is very robust, there’s a ton of capital, people are raising new funds every day. I don’t think there’s ever been a better time to be an entrepreneur in New York. But that creates problems, too. Labor costs go up. If you’re a good engineer, the labor costs are expensive to companies. What one thing should someone reading this article should know about Lead Edge? We are late stage company builders that can add real value by connecting you the entrepreneur with people who have done it before and can help you grow your business faster. If you think about building your business as a series of probabilities going from $0 to $200M of revenue, there’s a 99.9% chance you’re going to fail when you’re a startup. As you go along the way, we’re trying to help entrepreneurs clear roadblocks that come up time and time again. Scaling a sales force, for instance. We have a bunch of people who built really big sales forces in our LP base, whether it’s inside sales, outside sales, enterprise sales, midmarket sales – it’s all of that blocking and tackling. Let’s play word association game: what’s the first thing that comes to mind when I say “Williams College”? Say you’ve got a first-time visitor to Williamstown, MA who has 24 hours there. What do you recommend? Climb Mount Greylock. Go to the Purple Pub. Go to Pappa Charlie’s Deli, that’s my favorite deli in the world. I think Williams in the fall is one of the most beautiful places in the world. I think in April it’s not the most beautiful place in the world – so go in the fall.